It's just a collectible coin and not what will be in general distribution, but still... it features a dinosaur with a glow-in-the-dark skeleton. I'd buy that for a Cupronickel! 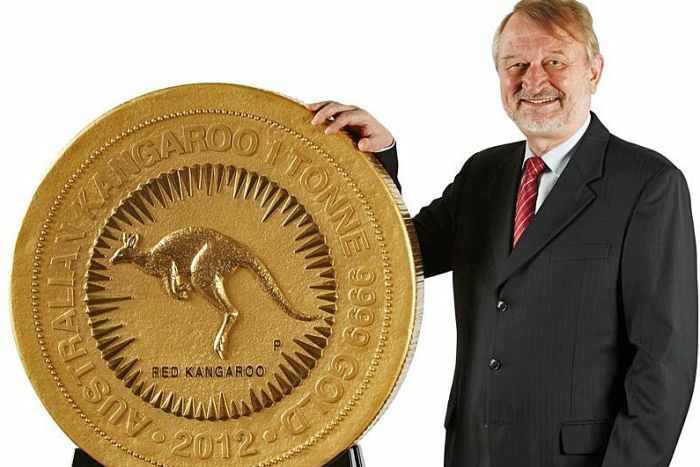 Cool, and a bit more practical than the new aussie coin. Think anyone would notice if I just scraped a little off the back of that coin? Since it's mentioned in the article, I'll add that this is the 100 kg coin that previously held the record. I'm pretty sure most people would agree that putting glow-in-the-dark dinosaur skeletons on your currency is cooler (albeit less valuable) than simply making huge coins, though.